The YZ125 2-stroke is more fun than should be allowed on two wheels! 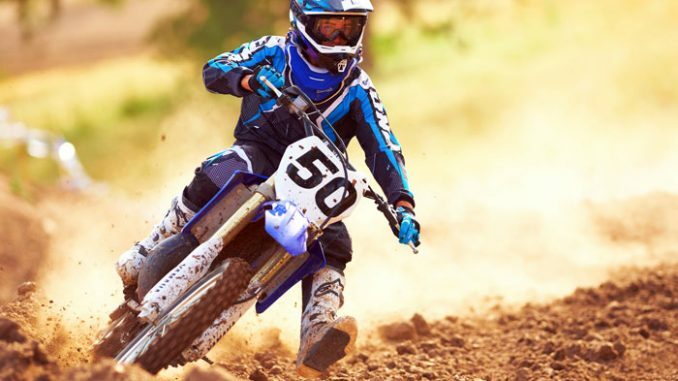 Lightweight, quick and easy to maintain, the 2013 Yamaha YZ125 is a perfect transition for those too big for 85’s but too small or inexperienced for bigger, more powerful 4-strokes. The secret to going fast is the ability to carry momentum, aggressively but smoothly. 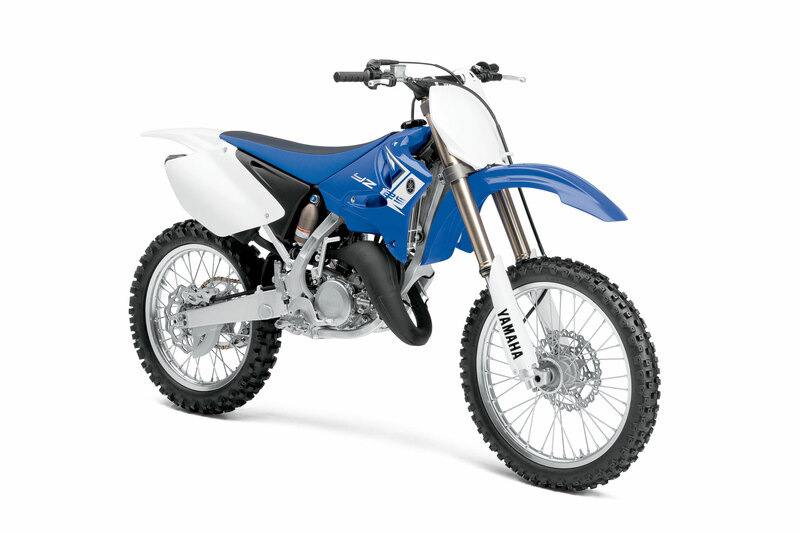 Learn it with the YZ125. For racers looking to make a serious run at motocross success, spend time on a YZ125 two-stroke. 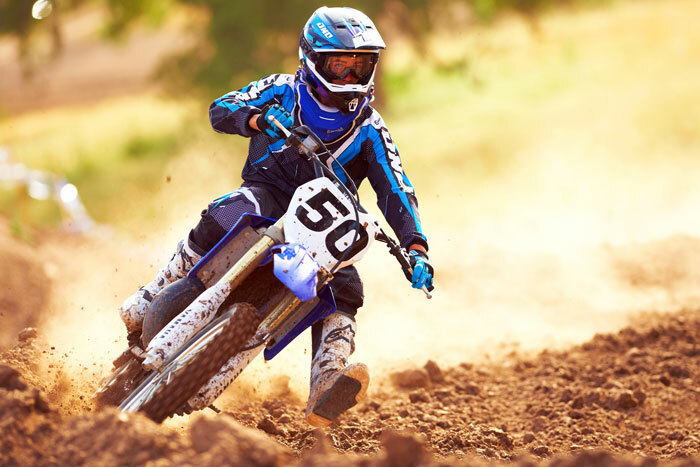 Not only does it teach you to be aggressive, but you’ll learn how important it is to maintain a smooth, consistent line around the racetrack. Remember, it’s those who slow down the least that win races. A high revving, quick accelerating engine gets you out of the hole and out of corners while a plush suspension package delivers confidence in the roughest conditions. 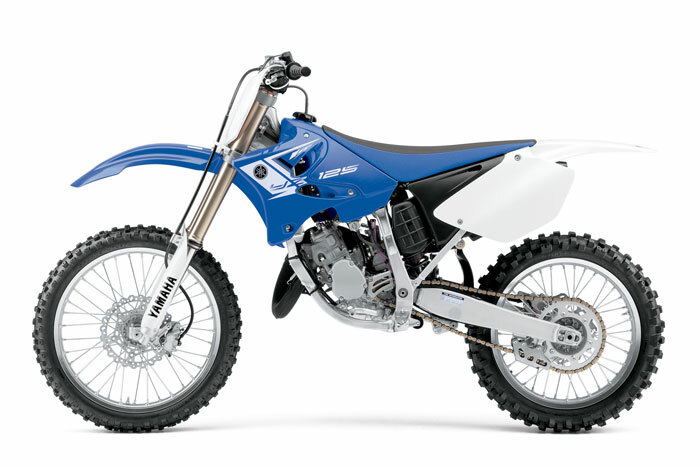 The YZ125: a solid foundation for any racing career. Watch top pros ride and comment on the YZ125 here. 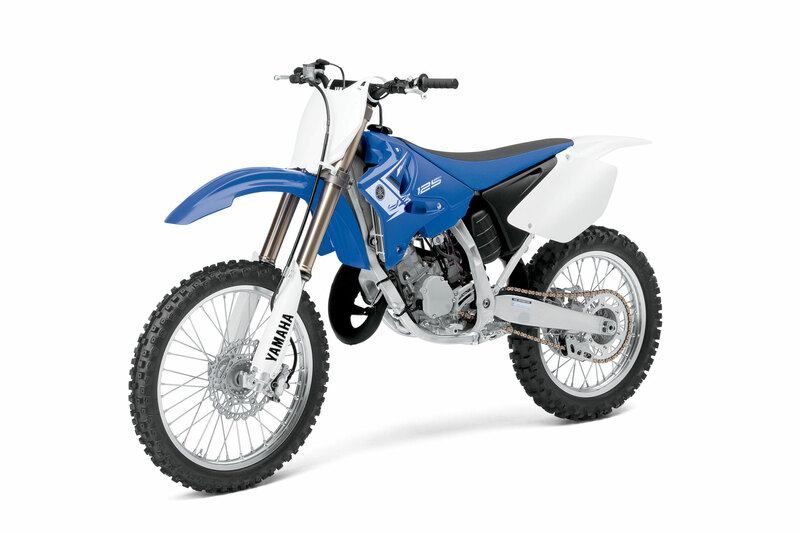 The 2013 Yamaha YZ125 2-stroke is the perfect transition from a YZ85 to a YZ250F! One ride and you will be amazed at the light handling and the simple fun the 2013 Yamaha YZ125 provides. 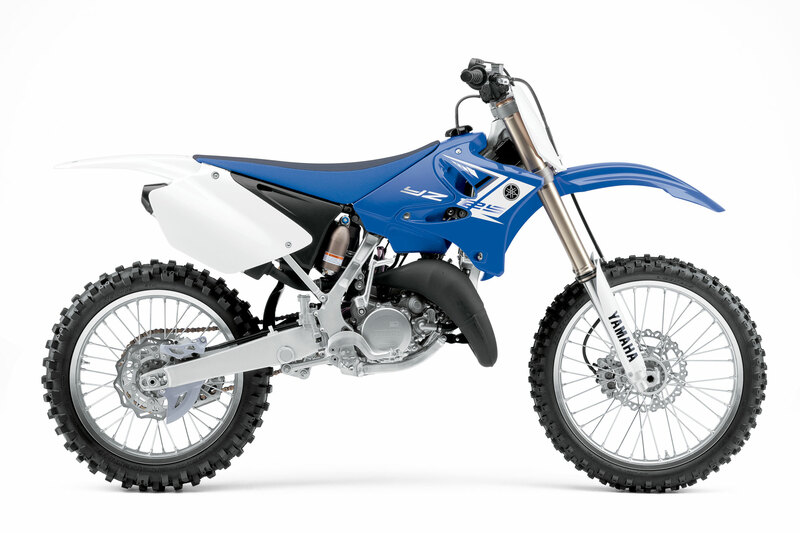 Plus, YZ 2 Strokes are easier and cost less to maintain… a win-win for all the true moto fans out there. •Liquid-cooled, 124cc, crankcase reed valve-inducted 2-stroke engine provides class leading power and acceleration and it’s easy to service too. •7.5-degree cylinder angle and specially designed straight shot intake path through the combustion chamber provide maximum power output. •Specially designed combustion chamber achieves a more complete burn at higher rpms for exceptional power output. •The flat top piston matches the combustion chamber design for maximum power delivery. •In order to reduce frictional losses, the lightweight crank uses special friction reducing crankshaft seals that reduce reciprocating losses for improved power. •Quick-access, magnesium outer clutch cover is light weight and speeds clutch access. •Close-ratio, 6-speed transmission uses optimized gear ratios to maximize power for outstanding acceleration and corner-exiting power. •Yamaha’s patented YPVS system features a slide (guillotine) type power valve that provides the benefits of both solid, low-rpm power delivery combined with a strong top-end punch. This system varies the exhaust port height and timing based on engine rpm. •Mikuni TMXx38 carburetor features a “D” slide design. The TMXx carb uses a “D” shaped slide design to enhance overall power, while providing crisp throttle response at all rpms. •6-petal, carbon fiber reed design means stronger high-rpm performance with greater over-rev capacity. •CD (capacitor discharge) ignition system delivers a precise spark and monitors engine speed to ensure optimal timing at all rpms for fast, strong response. •Large-capacity, dual radiators feature 10-row cores to deliver maximum cooling efficiency. •Lightweight exhaust system features a re-packable aluminum silencer which allows the rider / tuner to maintain the correct amount of back pressure for maximum engine performance while reducing noise. •Works-style clutch lever features a race-spec “barrel adjuster” for on-the-fly clutch adjustments. •Lightweight, aluminum, semi-double-cradle frame combined with the compact engine design, offer an awesome power to weight ratio. The obvious benefit of an aluminum frame is a significant reduction in overall machine weight. Yamaha has maintained the semi-double cradle design because it offers an excellent balance between stiff lateral and torsional rigidity while offering more controlled flex in the longitudinal plane. This frame design offers the ideal “stiffness balance” which means it offers the flexibility of a steel frame with the light weight of an aluminum frame. This frame is made from a unique mix of castings, forgings and extrusions that provide stiffness where it is required and controlled flexibility in other areas. The result is a super light aluminum frame, which provides excellent handling, good ride quality, excellent stability and responsive cornering performance. •Removable rear subframe is constructed of square-section, lightweight aluminum. Detachable design allows easy access when servicing rear suspension components. •Lightweight, tapered design aluminum swingarm is produced using “hydro forming”, a special forming method that uses high pressure water to form shapes. •Cast aluminum upper triple clamp and forged lower triple clamp provide both lightweight and strength for fast, easy handling. •”Speed Sensitive System” 48mm, adjustable, inverted, Kayaba cartridge fork features a twin-chamber design. The twin chamber design means the damper unit is in a separate structure which prevents aerated fork oil from entering the inner damper assembly and degrading its damping abilities. Since the inner damper is pressurized, it also eliminates bubbles forming in the oil. The Speed Sensitive design means the damping force is controlled by the piston speed in the fork. •The balance between the inner and outer fork tubes has been optimized, while the Kashima coating on the pressure tank and the piston rod reduce friction for smoother suspension performance. The piston diameter is 24mm for excellent primary cushioning while low friction oil seals provide reduced stiction for a smoother stroke. •This fork also features a Transfer Control Valve (TCV). The TCV enhances the damping force of the inner damper from mid stroke to full stroke and improves bottoming characteristics. The benefit of TCV is more precise control throughout the full stroke range. •Super lightweight, “Beta” titanium shock spring. This spring reduces weight by over 500 grams versus a conventional steel spring. A reduction in “unsprung” weight causes a dramatic effect on suspension performance. This titanium spring provides outstanding strength, and durability, combined with reduced weight. •250mm floating front disc brake features a “wave” style rotor (disc) which reduces weight, improves cooling and improves styling. •”Shorty” adjustable front brake lever is adjustable for various hand sizes. •”Wave” style rear rotor (disc) reduces weight, improves cooling and also adds a special styling highlight too. •The rear single piston brake caliper features a rugged plastic caliper protector, while the lower edge of the disc is protected by a lower disc guard. •Lightweight, D.I.D. 21″ front and 19″ rear rims provide exceptional durability and help reduce unsprung weight for optimal suspension performance and handling. •Heavy-duty 520 gold anodized “O” ring chain. •”Flat-design” seat features multi density foam that provides good initial softness / comfort and then increases the firmness as more pressure is applied. The “pebble” finish on the top and side surfaces and provides excellent rider grip and durability.